Liang-xing Tang was raised in a musical family in Shanghai, China. Tang recalled that his family "loved Chinese music so much that they organized the entire family into a music group.... We learned music under the guidance of our father and grandfather." They were known around Shanghai in the 1950s as Tang's Musical Group, and it was in this family setting that Liang-xing began studying erhu (a two-stringed bowed lute) at age 7. Soon he became a member of a performing-arts group called Little Playmates of the Shanghai Municipal Children's Palace. At 13, he was selected to join the Shanghai Chinese Music Orchestra, but when the instructors saw his large, long-fingered hands, they moved him to pipa, a pear-shaped, vertically held lute, popular in China since the sixteenth century. 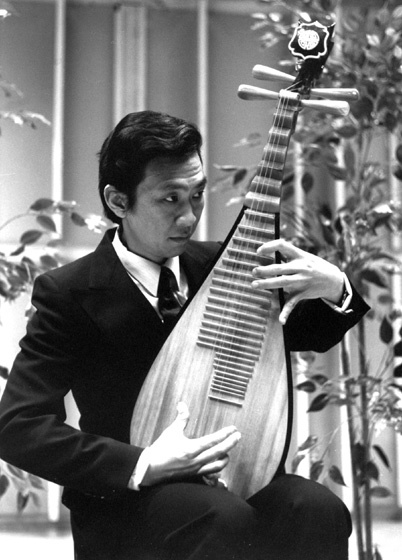 Tang had been interested in the pipa since he was a child, when he watched the master teacher Cheng Wujia teach the instrument to his older sister. "It was the first time I heard major pipa works," he said, "and I was enthralled." Pipa is played both solo and as an ensemble instrument. It is perhaps best known and admired for its traditional repertoire of "programmatic" pieces that paint vivid sound pictures of events, scenes or moods. None is more famous than "Ambush from All Sides," which originated as early as the sixteenth century and described the battle between warlords of the Chu and Han states. Two other popular pieces that Tang performs are "Night of Flowers and Moon at Spring River" and "Song of the Frontier." The pipa tradition involves a relatively high degree of personal interpretation. A given piece may differ greatly from one performance to another, between performers and among schools of playing style. Tang upholds the traditional view that each pipa player must cultivate a distinctive style rather than attempt to outdo his or her peers. Tang's own style is one of exuberance with a fine lyrical sense and melodic awareness. "My first teacher, Ma Linsheng, told me," he says, "it's better to strengthen your own style and unique characteristics than to surpass others. In pipa, there's no undisputed champion. It's more important for individuals to blossom — only that is pipa's springtime." 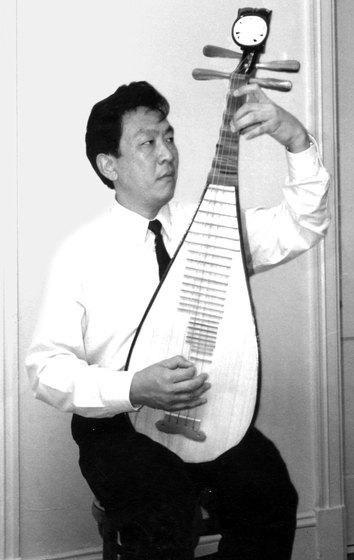 Tang does not use his bare fingers to play the strings of his pipa. He tapes cellulose picks to his fingers to pick the metal strings. In earlier times, the strings were made of silk and players used their fingernails as picks. The front panel is made from soft French wood; the back is made from redwood. The pipa's vents are made out of bamboo. The upper fronts are made of ox horn, and the carved piece at the top is ivory. The pipa is a versatile instrument that holds an essential place in many genres of traditional Chinese music. It is an integral component of Chinese opera, folk songs and symphonic music. 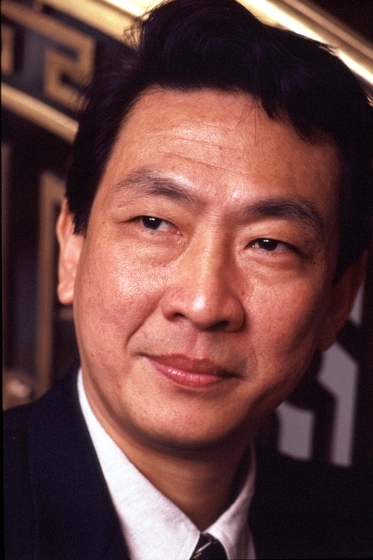 In 1964, when he was 16 years old, Tang had his solo debut, and in 1970 he was a soloist with the orchestra. 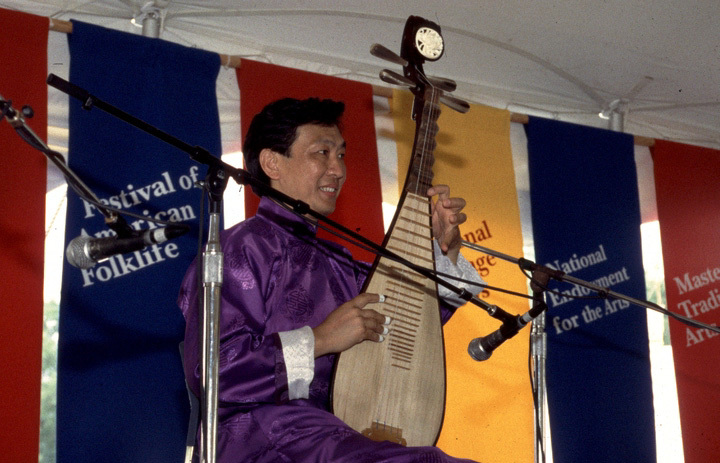 For several years, Tang earned his living as a professional musician, playing and touring with Chinese orchestras. In 1986, he immigrated to the United States and settled in New York City, where he joined the group Music From China. In a relatively short time, he was invited to perform at musical events in the Chinese community. During his first five years in the United States, he gave more than 500 recitals and major concerts at a broad range of events, from folk festivals to Chinese celebrations, to major concert halls, to regular appearances as a soloist in the Broadway play M. Butterfly. Tang is widely sought as a teacher of pipa, erhu, and gu qin (a seven-string zither). 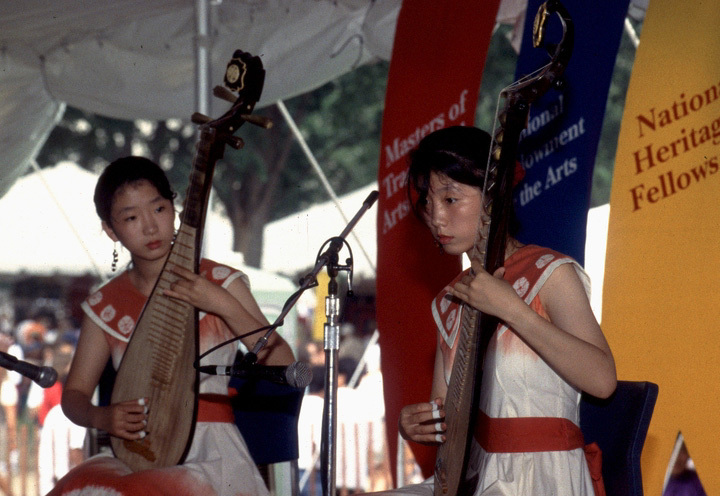 Both of his twin daughters, Juehua and Jueli, have followed in his family's musical traditions and frequently perform with him on pipa. His importance to the American and international Chinese communities is inestimable, but he also sees the special value of his music in a multicultural society: "I believe music can forge a link between people and stimulate understanding and communication." Liang-xing, Tang. "Observations on Chinese Music Today." Music from China Newsletter (spring/summer 1993) 3, 1. Rothstein, Edward. "Ancient Works with Modern Touch." New York Times (June 29, 1993). Liang-xing, Tang. High Mountain, Flowing Water: Traditional Chinese Pipa Music. Shanachie 65012.